I have just visited San Marcos la laguna, a small town on Lake Atitlan in Guatemala. While doing my yoga teacher training at the Kula Collective, one of our activities was to participate in a "Kharma" day where we offer support through selfless service to the community. During this, I had the pleasure of meeting some of the local Mayan women at their women's collective who make a living from processing cacao. Ruk'u'x Ulew (Heart of the Earth) is a women´s collective who began a small cacao business selling their product locally. Their product has now become well known and they are processing shipments internationally. They source organic beans from an indigenous farm in Coban, Alta Verapaz and bring them to San Marcos la Laguna, which is where I jumped in and joined them cracking cacao seeds. The women spend many hours a day processing the seeds by hand and when I asked what would help them they told me a mill would bring many positive benefits, enabling them to employ more women from the community and fill more orders. All the profits from their cacao go back to the families of the women who are part of the collective and support the local community. My experience meeting these women was incredibly motivating. Which is why I am asking you to join me in supporting the collective and an initiative that creates lovingly-energetic and sustainable communities that empower the local population. When coming into contact with such an admirable group of women I consider it an honour and extremely meaningful to my life purpose to give my time to such a cause. 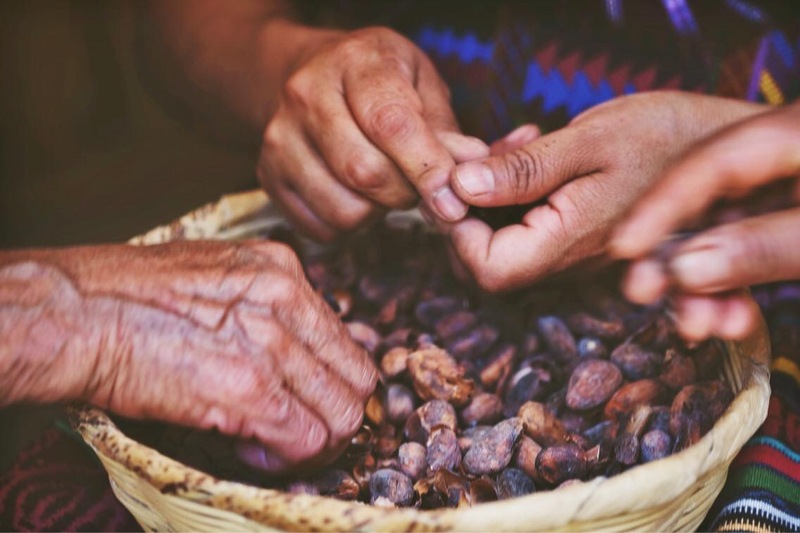 With the building of a cacao mill, the women will be in an outstanding position to continue to grow and empower their own population and improve the standards of living in San Marcos. I invite you to join me in making this mill a reality, even if it's only $5-10, and providing wonderful energy to a place which will maximize those resources and transform it into an ideal scenario of positive community investment.